This Gem of river has a little of everything. If you want to escape the crowds and enjoy some nice scenery this is the place for you. 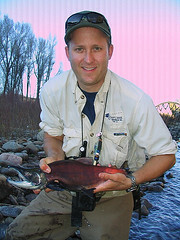 Watch the low water and make sure to bring your 4weight for a fun day out near Fraser or Tabernash. 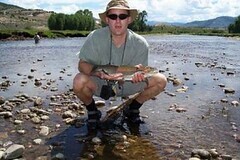 From her headwaters on the west side of the Rocky Mountian National Park (RMNP) all the way to the confluence of the Gunnison the Colorado River can offer some spectacular fishing opportunities. 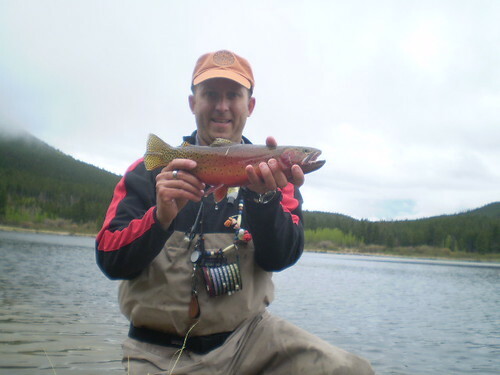 Whether you are looking to fish the Colorado as she runs through the national park or a looking to float the lower river, the Colorado has something for every angler. Near Basalt and Aspen 2 1/2 hours away, amazing area with the red cliffs, near Roaring fork river as well, more crowded but BIG fish, BIG hatches and a must if close to there. Headed to the Taylor you better bring two things: one is a lesson in Patience and the other is that you will be blown away and how big some of the fish get in this place. 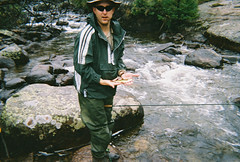 Do your homework on seasons and what the water is doing, it really will make a difference. One incredible place that everyone needs to experience once in their lives! 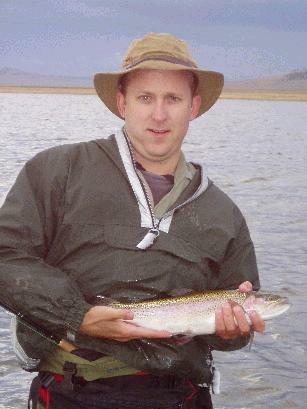 Besides the scenery, few crowds, the rainbows have bounced back after whirling disease and getting bigger and bigger each year. 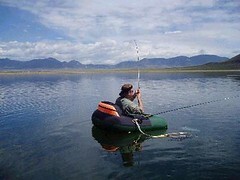 Looking for something a bit less crowded, less stuffy, more uniquely your own and filled with vast trout streams? Estes Park Colordo is waiting for you! Discover some of the hundreds of miles of trails, wildlife, hundreds of High mountain lakes and enjoy the surreal majesty of Rocky Mountain National Park. You'll find rushing streams, towering peaks, placid lakes, tall timber and gorgeous wildflower meadows - everything a Rocky Mountain paradise should be and all within an hour 1/2 from Denver. Definitely a must stop when in Colorado and to drive over Trail ridge road is a must! 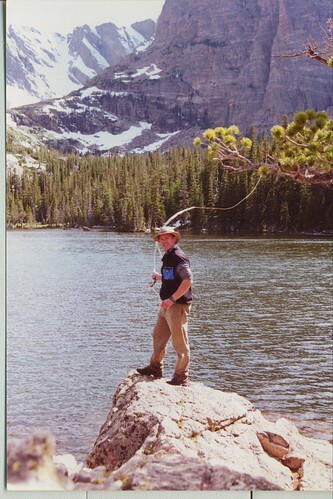 Lots of small water to choose from and my personal favorite, get out of the car and walk a few miles to see truly what some of Colorado's high mountain lakes have to offer. Start out 1st at Sprague and Lily, than work your way up higher! Opening day at Spinney should fall near the middle of April, depending on weather. 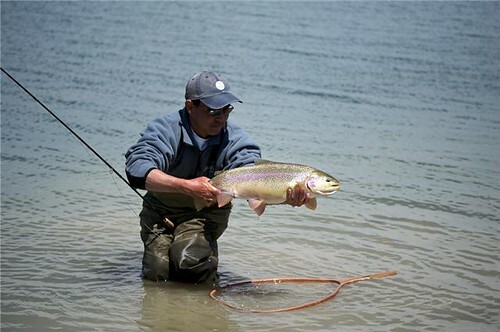 Rainbow trout fishing will be great. 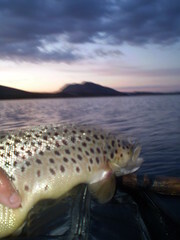 Brown trout fishing will remain spotty. Northern pike fishing will remain good for smaller pike and slow for larger pike. Anglers are encouraged to harvest all northern pike caught at Spinney Mountain Reservoir. Keep in mind that this is an early projection but, the north boat ramp should be in operation for opening day. If already in South park, check out this Gold Medal Stillwater location. Yes there are waaaay to many crowds for me, but if you're lucky enough you could score the fish of a lifetime here. North Park is fortunate to have numerous stillwater fishing opportunities ranging in size from several hundred acres to small ponds. Most of these lakes are teeming with insects such as damselflies, callibaetis, and chironomids. Scuds, the fresh water shrimp found in our lakes, are a major part of every fish's diet in these lakes, helping to grow the trophy fish we all dream of catching. 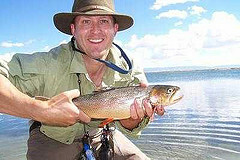 Such food sources result in thick, well-fed trout that readily eat flies, fight hard, and make fly anglers grin ear-to-ear. Delaney Buttes through and through is up there as one of my favorite places bar none and my former fishing pal Zeke before he passed loved every minute spent there! 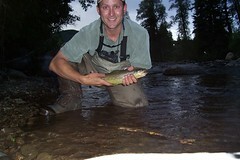 Most popular of the three, rainbows a few browns and most important, snake river cutty's found here. 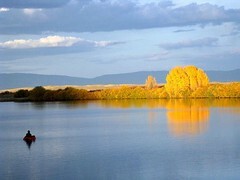 Fun place to fish and relax, just expect wind!